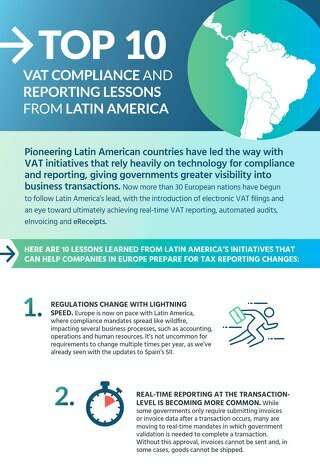 Governments across the globe are adopting new VAT compliance measures to keep up with business growth and globalization, increasing risk and burden for businesses. 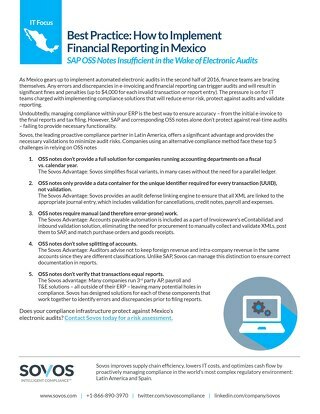 Tax Compliance and Reporting are increasingly technology-driven. SAF-T (Standard Audit File for Tax) adoption is growing exponentially. Keeping up with the pace change is the most difficult aspect of compliance. Intelligent Compliance is required to keep up with this complex, rapidly changing compliance environment. 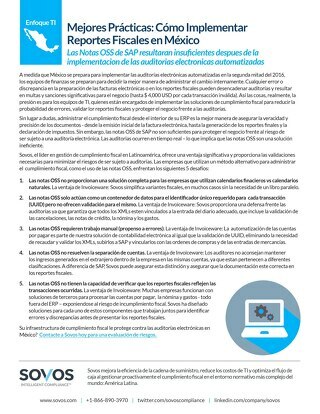 Mandated e-invoicing and tax reporting requirements in Latin America make SAP implementations in this region more complex than anywhere else in the world. 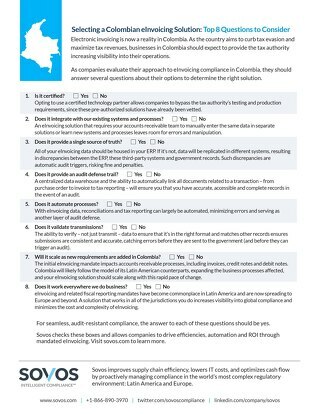 Here are 10 common implementation issues. Sei conforme? 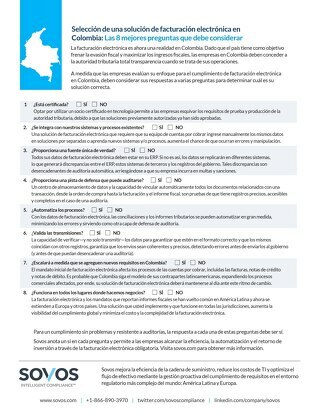 Scoprilo con la nostra guida interattiva. 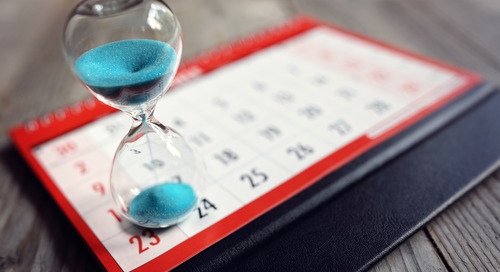 Navigate your way through this interactive guide to find out if this mandate applies to you, how to ensure you are compliant, and more. 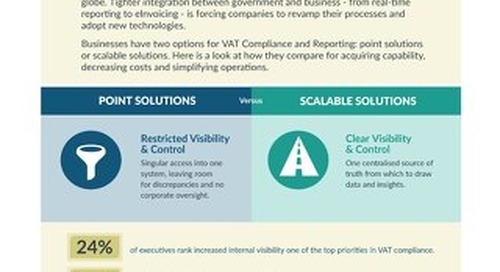 Financial institutions are moving toward a centralized tax solution, but why? There are five major drivers. 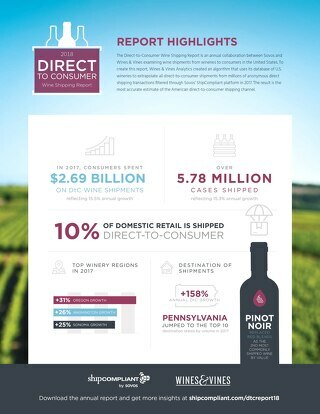 Learn what they are and discover the advantages of a centralized solution. 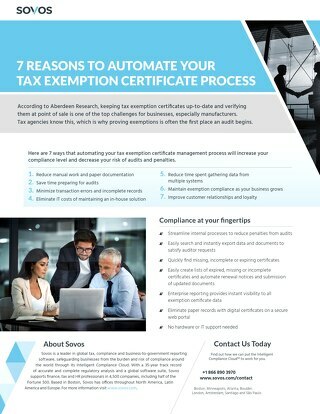 Here are 7 ways that automating your tax exemption certificate management process will increase your compliance level and decrease your risk of audits and penalties. 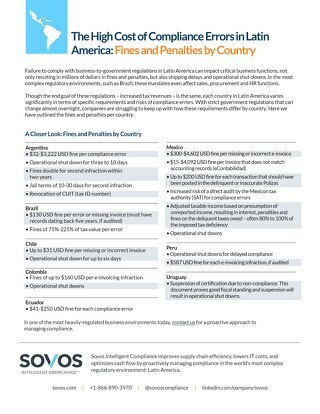 Need a few good reasons to attend the Sovos Global Compliance Summit in Denver in October? Well, here they are! 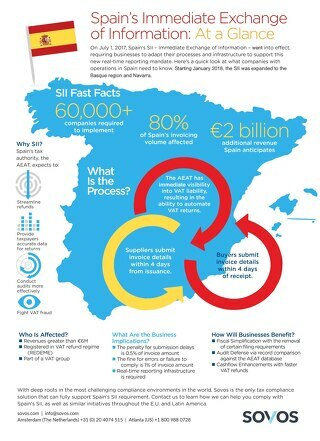 Spain announced that certain businesses will be required to submit transactional invoice data for both sales and purchases electronically starting on July 1, 2017. 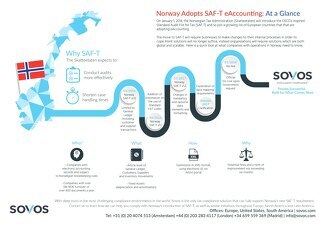 Norway will soon be the next European Union country to mandate eAccounting through the Standard Audit File for Tax (SAF-T). 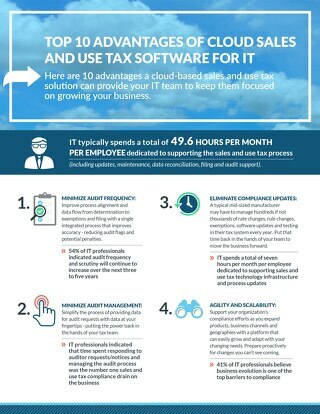 Ten IT advantages using a cloud-based sales and use tax solution. Keep IT focused on growing the business, not on sales tax regulation updates in the tax system or ERP (SAP, Oracle, Infor) every year.